Beaton, Belinda A.. "Simon Fraser University". The Canadian Encyclopedia, 23 March 2015, Historica Canada. https://www.thecanadianencyclopedia.ca/en/article/simon-fraser-university. Accessed 25 April 2019. SFU's academic programs emphasize an interdisciplinary approach to traditional and newer disciplines, and the university operates year-round on a trimester system. 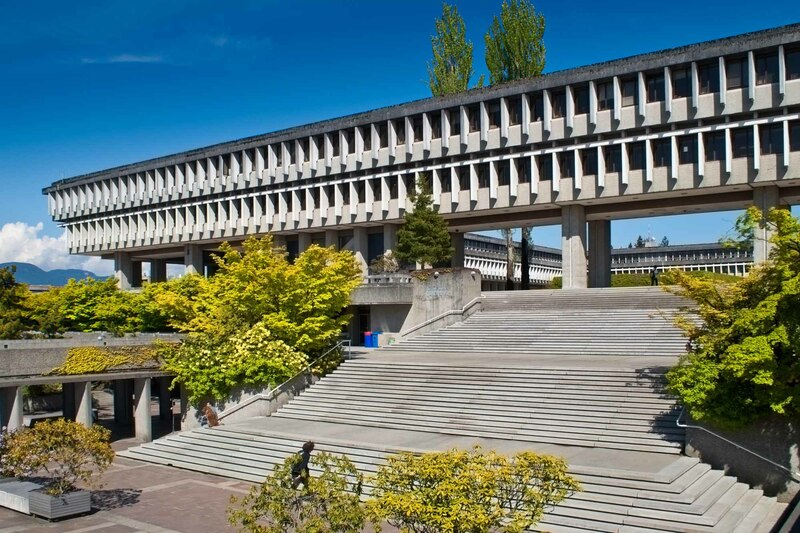 Simon Fraser University (SFU) is a Canadian public research university in British Columbia with its main campus on Burnaby Mountain in Burnaby, and satellite campuses in Vancouver and Surrey. The building was designed by architects Arthur Erickson and Geoffrey Massey. Burnaby, BC. The academic quadrant, designed by Arthur Erickson (Corel Professional Photos). 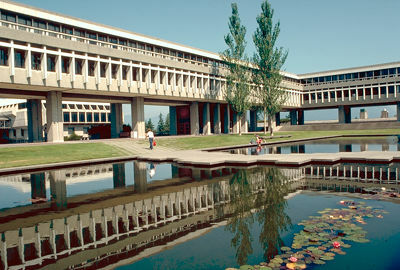 Simon Fraser University, in BURNABY, BC, was named after explorer Simon FRASER and was founded in 1965. It opened as one of Canada's instant universities, built to meet the anticipated need for higher education in BC's Lower Mainland. Situated on top of Burnaby Mountain, the award-winning main campus, designed by architects Arthur ERICKSON and Geoffrey Massey, includes a central mall bordered by 5 main buildings. The Harbour Centre Campus opened in downtown Vancouver in 1989. 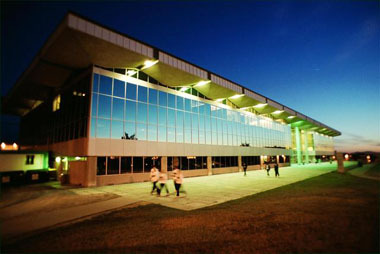 In 2002 SFU established a third campus in Surrey on the former site of The Technical University of British Columbia (TechBC). SFU allowed students of TechBC to apply their existing course credits toward an SFU degree. SFU's academic programs emphasize an interdisciplinary approach to traditional and newer disciplines, and the university operates year-round on a trimester system. 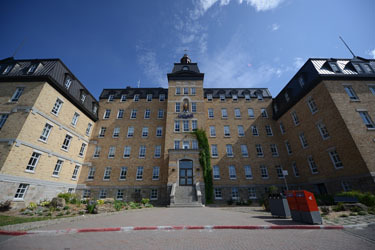 There are over 100 programs offered by the 5 faculties - arts, business administration, education, applied sciences, and science - offering a wide range of courses and programs. In addition, there are co-operative education and interdisciplinary programs as well as distance education courses. Graduate studies at the master's and doctoral levels are offered in all faculties, and SFU is enriched by more than 30 research institutes and centres, including the Centre of Excellence for the Study of Immigration and Integration. SFU is credited with the invention of the V-chip, and is headquarters for the TeleLearning Research Network, founded in 1995 to explore new learning models using technology. SFU has approximately 25 000 full-time and part-time students. Simon Fraser UniversityThe official website for Simon Fraser University in Burnaby, BC. Check the website for academic program information and special events offered at its various campuses.